I originally got my hands on CHI’s brand new line of Argan Oil hair products during the part of the fall when everyone’s hair starts to dry out in the Midwest. It truly couldn’t have come at a better time to test it out my clients’ hair, to be perfectly honest, and it didn’t take long to start flying off the shelves. CHI Argan Oil Shampoo: combines a unique blend of exotic oils that gently cleanse and rejuvenate dry, damaged hair by restoring moisture, essential vitamins, antioxidants and strengthening proteins creating healthy, shiny hair. CHI Argan Oil Conditioner: rejuvenates dry, damaged hair by replenishing moisture and infusing hair with vitamins and nourishing oils for a smooth, soft, frizz-free finish with restored shine. This nourishing conditioner enhances hair’s strength and elasticity while helping to protect against damage from thermal styling and UV rays. CHI Argan plus Moringa Oil: lightweight, quick absorbing blend of oils specially formulated to rejuvenate and moisturize dull, damaged hair. Rich in antioxidants and vitamin E, this luxurious oil blend instantly smooth’s hair for healthy-looking styles with incredibly shine and movement. This unique oil blend also while helps to protect against damage from thermal styling and UV rays. CHI Argan Oil Rejuvenating Masque: Deeply nourishes and repairs hair with essential vitamins and antioxidants that replenishes moisture, restores shine, smooth’s frizz and improves hair’s overall luster and appearance. I always switch my shampoo and conditioning hair products with the seasons. As fall starts to come to a close and before winter rears it’s ugly static filled head, I like to find a hair routine that delivers a moisturizing power punch. This new Argan Oil line from CHI is a perfect solution for winter hair or if your hair is otherwise dry and damaged. The entire line has a wonderful, rich scent that’s slightly earthy and maybe a little on the strong side for some people. The vast majority of my clients loved the smell and were instantly intrigued when I used the products on their hair by the smell alone. Most commented that the smell was luxurious and a nice change. The CHI Argan Oil Shampoo is a thick and rich shampoo that lathers beautifully, especially for a shampoo that is sulfate free. 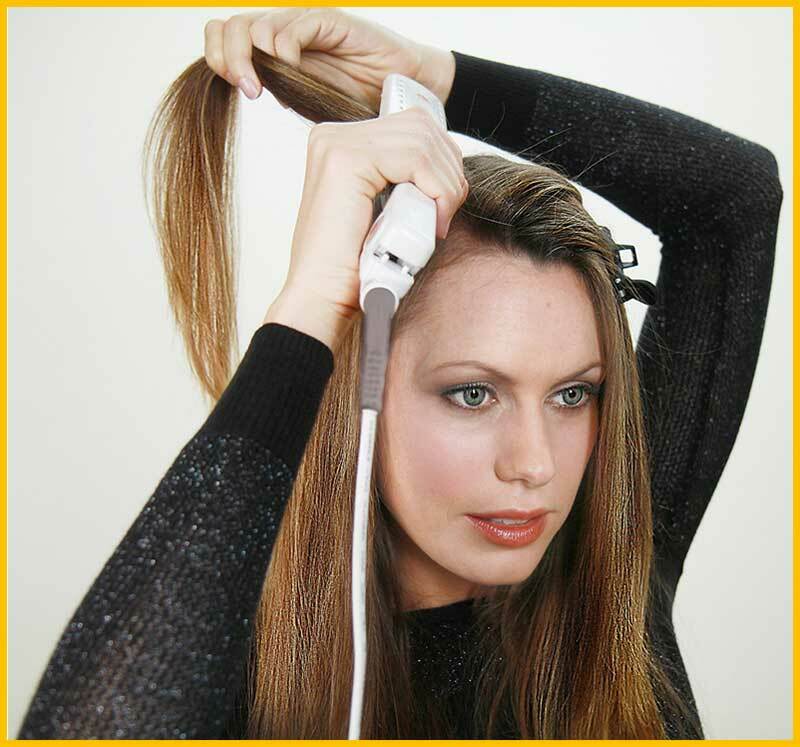 It rinses cleanly but requires a good long rinse in clean hair to be sure that the product is rinsed out thoroughly. Hair is left obviously clean feeling (which I love) without feeling dry. CHI Argan Oil Conditioner is a great daily conditioner for damaged or dry hair. It does an amazing job of smoothing hair down, reducing frizz, and increasing shine. One word of caution for fine or thin hair: use this conditioner on the last few inches of your hair only and keep the product off your scalp. It can be a little on the heavy side. It’s absolutely wonderful for thick hair, long hair, or hair that’s otherwise easily tangled. I’m in absolute love with the CHI Argan plus Moringa Oil. It’s no secret that I’m a huge fan of hair oil, to begin with, but this one is truly one of my absolute favorites. It’s super lightweight, making it perfect for a variety of uses. I use it in my hair when it’s wet, before combing out the tangles. 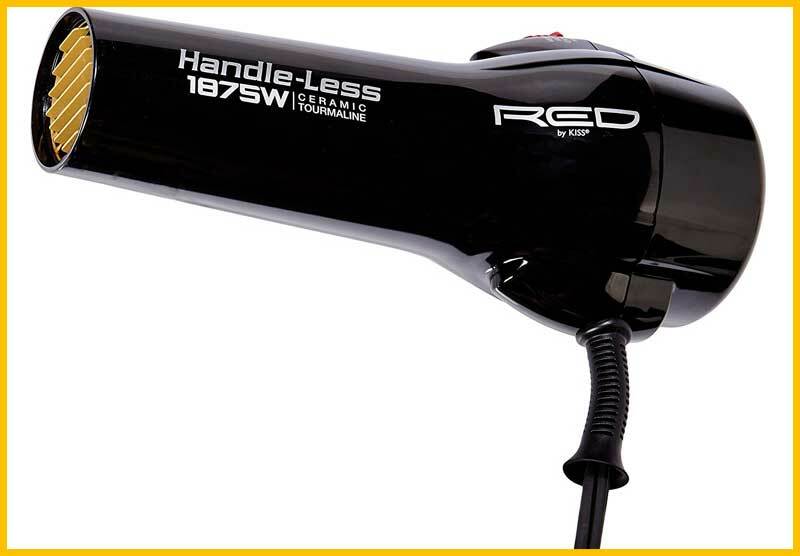 It’s amazing as a daily dry conditioner to keep static at bay and shine at an all-time high. The product absorbs so well that it doesn’t leave hair greasy or oily (as long as you don’t over-do it). I also used this product on my super dry skin after a cold left my nose in a nasty peeling state and I mixed it in with my favorite lip balm when my lips were cracked from the same cold. Saving the best for last, the CHI Argan Oil Rejuvenating Masque is a God-send for dry and damaged hair and has been a wonderful addition to perfecting the perfect blow-out after a color service in my salon. Admittedly, I don’t use deep conditioners a lot, but after my clients’ positive reaction to the way their hair feels after this deep conditioner, it’s one that I’m going to keep on hand. You can use this deep conditioner daily (a little goes a long way) for really damaged or unruly hair, or as a weekly treatment to rejuvenate hair. I like to apply to the ends of my hair and let it sit for 15-20 minutes before rinsing for a really luxurious deep conditioning treatment. 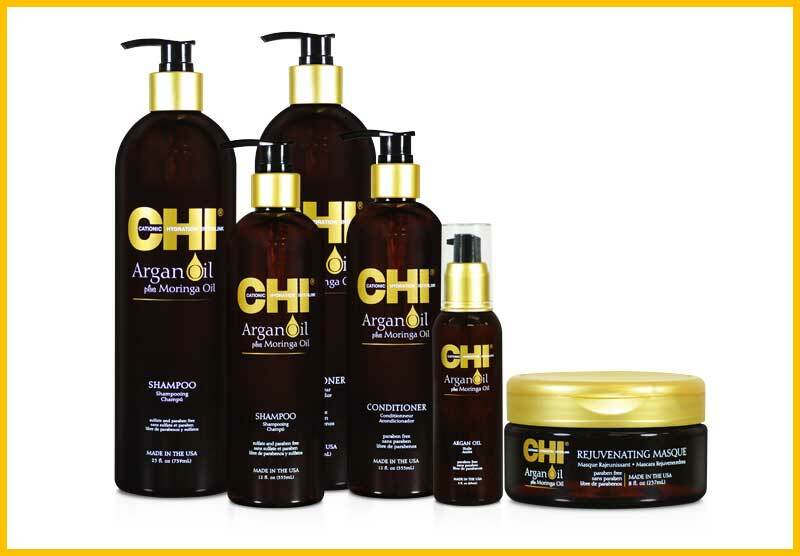 CHI Argan Oil Hair Products are available for purchase at CHI professional salons. Use this salon locator to find a CHI professional salon near you.